Spring is just a couple of months out, which means it’s time to think about reviving your gardens and other landscaped areas. Once the warm weather arrives, you’ll be ready to relax in the sun, chill by the pool, or enjoy still-crisp evenings around the fire pit. The flowers, plants, bushes, and trees you plant do a lot to invigorate your outdoor scene, but if you really want to personalize it? Try concrete. We know, we know. It may not be the first material you think of when you contemplate spending long, lazy days and nights outdoors, but hear us out: Concrete might be the biggest thing to have happened to landscape design in a decade. No, we’re not kidding. This sturdy stuff makes a marvelous accent, but it’s often deployed as a functional piece of decor. And that’s why we like it in yards and gardens so much. Concrete is useful, practical, and timeless; no surprise then that you’ll find it in the form of stepping stones or as the predominant material used in an outdoor kitchen or shower. It can designate a sunken sitting area or be the basis for a regular one in the form of a floating patio. When it comes to landscaping and garden design, concrete is incredibly versatile. 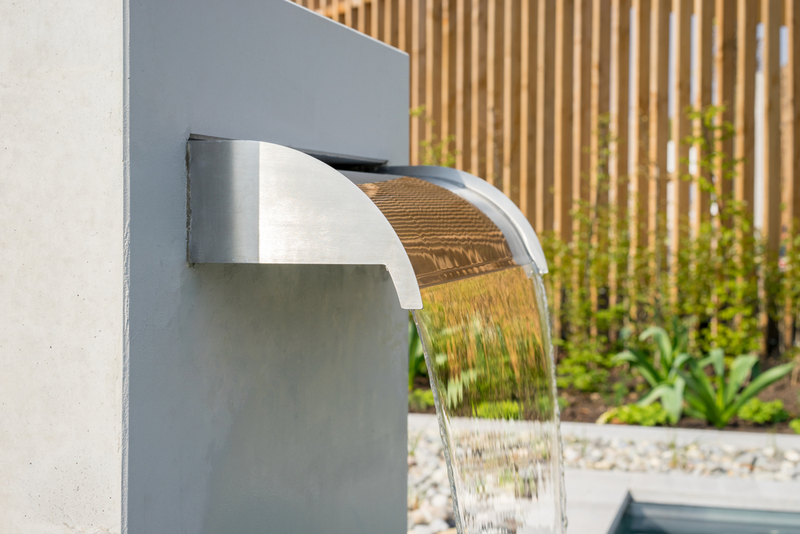 As one of our most enduring materials that gains a unique patina over time, it provides an interesting contrast to the green and growing items in your outdoor scheme, too. There’s something distinctly modern about the mix of the organic with the industrial appeal of concrete. Use it and your space is instantly on trend. If you just want a touch here and there, pick up a dynamic concrete sculpture or add statement planters to your scene. We also love concrete water features such as waterfalls or fountains, but are just as enamored of the fire pits we’ve seen. 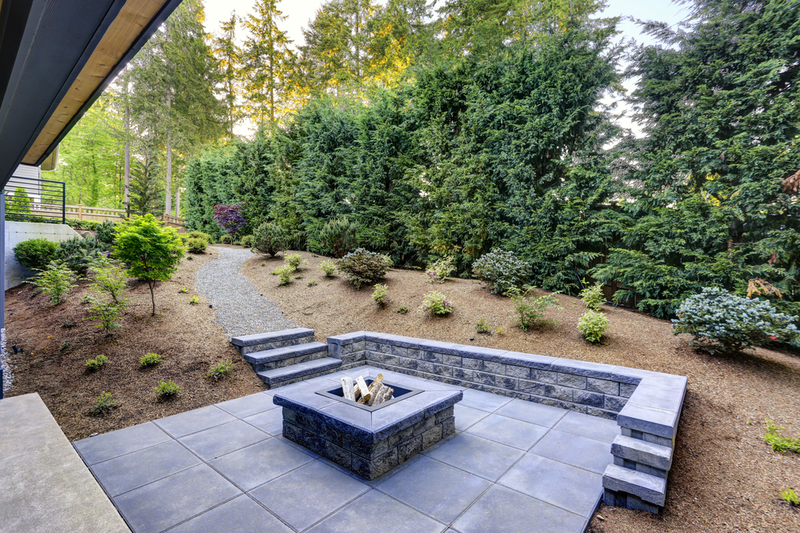 Concrete is one of the most appealing ways to customize your outdoor space, so consider working it in to yours this spring.